The most accurate measurements should be taken from an existing breastplate that is adjusted to a size that properly fits your horse. Shoulders A - B Measure fitted length of shoulder. Wither strap Measure from A - A. Include snap if there is one. 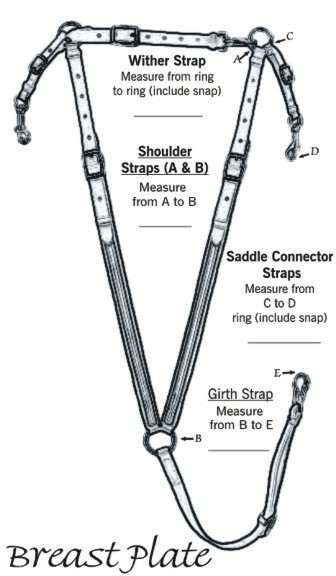 Girth strap B - E Include snap to girth.